New to the region? Or just curious? Seattle Times book editor Mary Ann Gwinn recommends a bushel of natural-history books about the features that make up our home. Note: Check out Part 1: the fiction essentials, Part 2: the nonfiction essentials and our overall Seattle Newcomers Guide. When I arrived in Seattle in the 1980s I wondered if I had made a terrible mistake — it was a soggy, gritty town, with confusing streets and a downtown just a couple of steps removed from the Skid Road years. It seemed so far away from everything else, I felt like I was dangling by a thread over the dark Pacific. Then I raised my eyes from my city map and saw the mountains and realized why I had come — to spend time in a region that offers a ridiculous banquet of natural beauty and wonder. Today I worry about what the never-ending influx of people will eventually do to nature. In a city where a beautiful tree gets cut down every five minutes for an ugly apartment complex, one wonders where all the birds are going to go. I offer this last list of books for Seattle newcomers with this editorial statement, courtesy of the singer Joni Mitchell: You don’t know what you got ‘till it’s gone. Here’s my list; let me know what I left out — email me at mgwinn@seattletimes.com or leave a comment. David Alt and Donald W. Hyndman. One thing I could not get over as a newcomer was the amazing geological transition you pass through as you drive Washington state from west to east (or east to west). 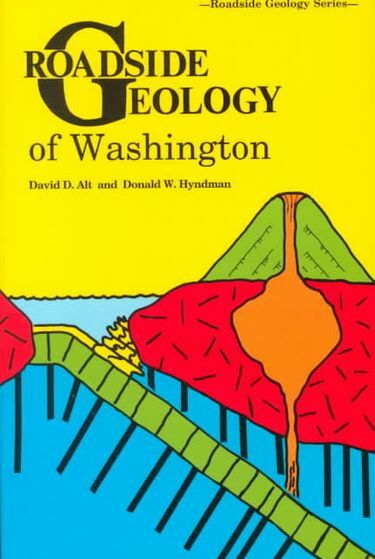 “Roadside Geology of Washington”lays it all out: the Cascades, the channeled scablands, the potholes, the volcanoes, the Willapa Hills, Puget Sound. This book orients its guided tour around the state’s highways — you can use it as you drive along. A great reference. Tony Angell. In “The House of Owls” Angell, a pre-eminent Seattle wildlife artist and naturalist, has written the book on this bird. He profiles dozens of species of owls and illustrates their amazing lives. Angell is also the co-author of “In the Company of Crows and Ravens,” with University of Washington professor John Marzluff, a fascinating study of the corvid family, a species of bird that has defined the Northwest since Native Americans named the raven as creator of the world, the trickster god who reflects back to us versions of ourselves. Paul Bannick. Did someone mention owls? Bannick, a superb nature photographer and fourth-generation Seattleite, has published two spectacular books that focus on owls. “The Owl and the Woodpecker”follows two grand species of the Northwest forests. “Owl: A Year in the Lives of North American Owls,” is all owls, all the time. Bruce Barcott. Bainbridge Island author Barcott mixes first-person narration and natural history in “The Measure of a Mountain: Beauty and Terror on Mount Rainier” to chronicle our relationship with our No. 1 mountain, from its immense natural beauty to the possibility that it could collapse in a volcanic explosion and bury everyone in sight. In “Sunrise to Paradise, ” Ruth Kirk explores the rich history of Mount Rainier National Park through words and pictures, from its Native American legends to the early explorers to the entrepreneurs, park rangers, scientists and just plain fans who can’t get enough of it. On the west side of the Sound, “Olympic National Park: a Natural History” by Tim McNulty chronicles the history and natural wonders of the park, 1,400 square miles of mountains and wilderness in the heart of the Olympic Peninsula. William Dietrich. Dietrich, who won a Pulitzer Prize reporting for The Seattle Times, went on to write numerous works of nonfiction about the natural Northwest. “The Final Forest” chronicles the fight to preserve the habitat of the spotted owl, a key indicator species for old-growth timber, and its impact on the loggers who depended on the forest for their livelihood. “Natural Grace: the Charm, Wonder, & Lessons of Pacific Northwest Animals & Plants” profiles the citizens of the Northwest biome, from jellyfish to deer to sea otters, from mosquitoes to spiders, from cougars to bald eagles, from the tides to the rain to the unpredictable snow. Adapted from essays first published in Pacific Northwest Magazine. Maria Dolan and Kathryn True. 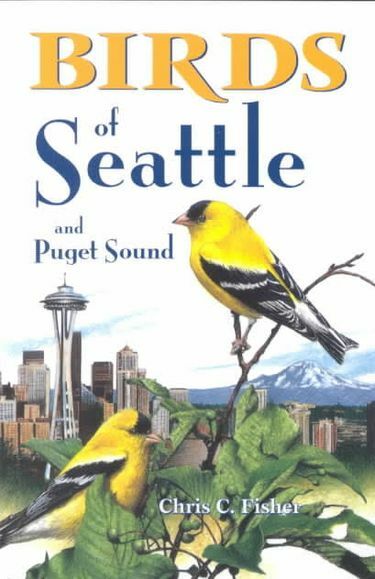 Their 2003 book “Nature in the City — Seattle” is an accessible guide to the city’s wildlife, parks, flowers, forests and trails. David B. Williams’“The Seattle Street-Smart Naturalist” examines the city’s natural world in essay form.Chris Fisher’s“Birds of Seattle and Puget Sound,” a guide to 125 common species around our region, gets props for its excellent drawings and its compact form. Also eminently tote-worthy and broader in scope is “Birds of the Puget Sound Region Coast to Cacades” (several authors). And there’s Constance Sidles’ “Second Nature: Tales from the Montlake Fill,” in which Sidles zeroes in on a particular piece of Seattle — the Montlake fill, the former garbage dump that has become one of the most productive bird habits in the city. Sandi Doughton. The Seattle Times science reporter explains in “Full-Rip 9.0” exactly what’s going to happen when the big earthquake shakes us down. If you can’t get enough of this topic — and who doesn’t love reading about cataclysmic disasters destined to strike home? — in “The Orphan Tsunami of 1700,” geologist Brian Atwater and several other authors describe the clues to a 1700 tsunami in Japan that may predict our coming earthquake and giant wave. In“Living with Earthquakes in the Pacific Northwest: A Survivor’s Guide,” Robert Yeats blends explanations of the likely impact of an upheaval in the offshore Cascadia Subduction Zone with practical information on how to survive The Big One. Arthur R. Kruckeberg. I suspect that Kruckeberg’s book “The Natural History of Puget Sound Country” will stand for years as the definitive natural history of our region, from its creation by Ice Age glaciers to the human impacts of today (though those impacts can only have accelerated, thanks to the enormous influx of people since it was published in paperback in 1995). Flora, fauna, climate, habitats, life histories of key critters — the whole shebang. Arthur Lee Jacobson. Jacobson is a one-man repository of information about Seattle trees, plants and other botanical matters. His “Wild Plants of Greater Seattle” and “Trees of Seattle” come to mind; “Wild Plants of Seattle” is especially useful because of the detailed botanical illustrations..
David Laskin. 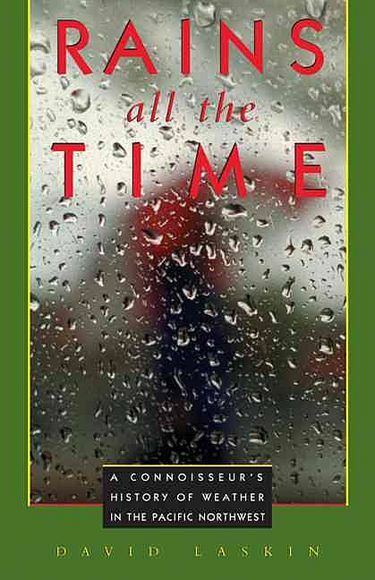 In “Rains All the Time: A Connoisseur’s History of Weather in the Pacific Northwest,” Laskin, a multiple winner of the Washington State Book Award, wrote an elegant explainer of the contrariness of our complex climate, which seems wet and rainy …even when it’s not … and the psychology of living in a place where the sun so often refuses to shine. Lynda Mapes. In “Elwha: A River Reborn,” Seattle Times reporter Mapes and photographer Steve Ringman documented an amazing ongoing restoration project: the destruction of two dams on the Olympic Peninsula’s Elwha River and the restoration of the vital habitat for birds, mammals and fish destroyed when the dams were created in the early 20th century. David Montgomery. 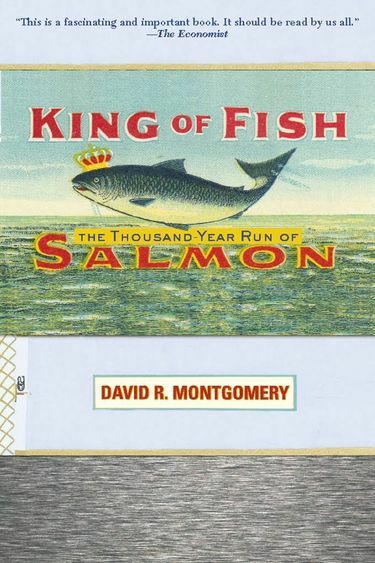 In “King of Fish: The Thousand-Year Run of Salmon” Montgomery, a MacArthur genius grant winner and earth and space sciences professor at the University of Washington, chronicles the evolution and near-extinction of the salmon by studying changes in the landscapes that formed their habitat over the last thousand years. Robert Michael Pyle. Pyle’s “Wintergreen: Rambles in a Ravaged Land” is a classic meditation on southwest Washington’s Willapa Hills, where virtually every inch of the landscape has been logged over and where both the land and the people are threatened by the depletion of natural resources. Pyle trains his loving but unblinking gaze on the place he calls home. It was published in 1986, but a 30th anniversary edition came out last year from Pharos Editions, with a new introduction by David Guterson and updates by the author.